Irish cuisine is traditionally hearty and to the point. Years of impoverishment and famine led to honest cooking that holds the utmost respect for the food being used. In other words, food was not taken for granted. And it made use of foods that were available—the crops that would easily grow in the Irish terrain and the livestock that were raised in the countryside. The food probably most associated with Ireland is the potato. 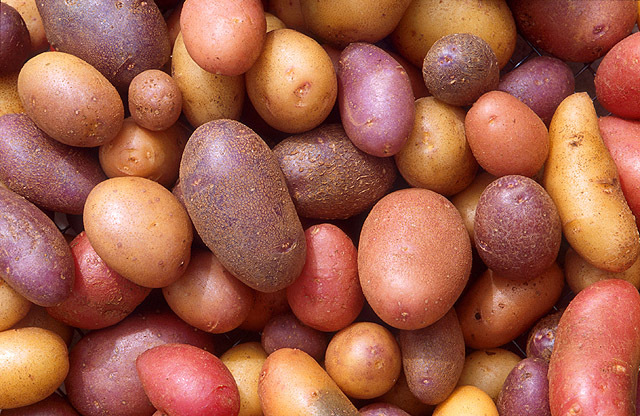 Potatoes were introduced in the 16th century and because they grew abundantly and cheaply, they became the most important crop in feeding the masses, which is why when a blight destroyed potato crops in the mid-1800s, famine decimated the population. Another important item in Irish cuisine is cabbage. It, too, grows abundantly and cheaply and, like potatoes, lasts a long time in storage. 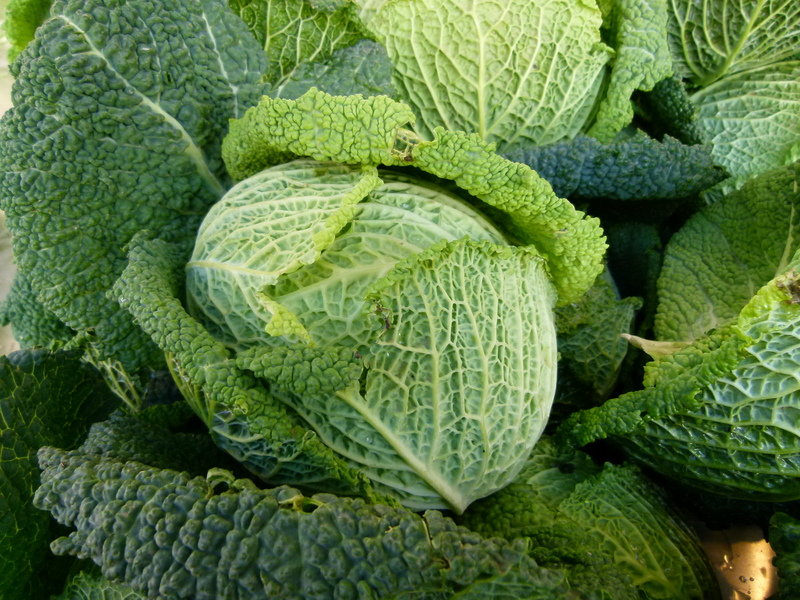 Sometimes kale is used, or other members of the cabbage family. 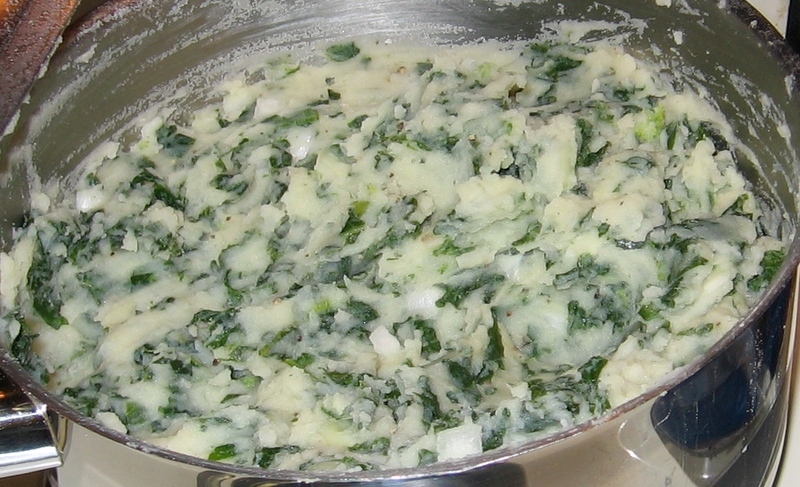 Colcannon became known in the 18th century, but some food historians believe that it existed before then. It combines these two staple ingredients in the simplest, most basic of ways: boiled and combined into a mash. Okay, there’s a bit more to it than that, but not much. The potatoes and cabbage are flavored by sautéed leeks and enriched with butter. For a little more in-depth history of Irish cuisine, and specifically colcannon, check out FoodTimeline.org or DoChara.com. So, make this traditional Irish dish for St. Patrick’s Day and may the luck o’ the Irish be with you. Bring a large pot of water to a boil; add the cabbage and 1 tsp salt. Lower the heat to medium-low and boil until tender, about 12 to 15 minutes. Drain well. At the same time, place the potatoes in a medium pot and cover with water. Bring it to a boil; lower the heat to medium-low, partially cover, and boil until tender when pierced with a knife, about 15 to 20 minutes. Drain, peel, place in a bowl, and coarsely mash. Add the milk, butter, ½ tablespoon of the salt, and pepper and mix well. Heat the oil in a wide pan. Add the leeks and sauté until soft and golden brown, about 15 minutes. Add the cooked cabbage and remaining salt and sauté over medium-high heat, stirring often, until cabbage starts to brown. Add to the mashed potatoes and mix well. Taste for seasoning and adjust, if necessary. Transfer the colcannon to a platter. Garnish with parsley and serve hot. Categories: Ethnic Dishes, Gluten-free, History of Food, Holidays, Recipes, Savory Cooking, seasonal cooking, Traditions, Uncategorized, Utilitarian Cooking, Vegetables, Vegetarian | Tags: cabbage, colcannon, Irish, potatoes, St. Patrick's Day | Permalink.